Job Opening: University of Macau, Professor of Japanese Language and Pedagogy | What can I do with a B.A. in Japanese Studies? The University of Macau is a leading higher education institution in Macao, with English as its working language. In recent years, the University has made great progress in various areas, with increasing international recognition of its excellence in teaching, research and community service. The Times Higher Education World University Rankings 2014/2015 ranks the University among the world’s top 300 universities. With the beautiful new campus (20 times larger than the old one) becoming fully operational, the launch of Asia’s largest residential college system, the establishment of new faculties, and the increasing numbers of students and faculty members recruited from around the world, UM possesses great potential and provides exciting new possibilities for growth and development. The Centre for Japanese Studies of the Faculty of Arts and Humanities invites applications for the position of Professor of Japanese Language and Pedagogy. The Centre for Japanese Studies is an established and lively scholarly community with a strong international tradition for the teaching of Japanese language. In addition to its undergraduate BA programme in Japanese Studies, the Centre offers an undergraduate Minor in Japanese Studies, as well as possible PhD supervision across the range of the department’s expertise. The Centre has particular strengths in Japanese linguistics and anthropological approaches to Asian studies. 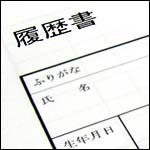 In addition to undergraduate language teaching graduate-level teaching and supervision may be expected to develop within Japanese Studies or related areas. Applicants must hold a PhD in Japanese Studies or in a related area. Applicants should have an excellent record of tertiary teaching and supervision experience and a distinguished record of research and publication at an international level. Academic specialization is open but applicants with research specialization in curriculum design, language assessment or language instructional strategies are especially welcome. Applicants should have native or near-native fluency in Japanese along with extensive experience teaching Japanese as a second/foreign language. A good command of English is also preferred. Applicants with administrative experience are especially welcome. The selected candidate may assume duty as early as August 2015. Remuneration and appointment rank offered will be competitive and commensurate with the successful applicant academic qualifications, current position and professional experience. The current local maximum income tax rate is 12%, but is effectively around 5% – 7% after various discretionary exemptions. Applicants should visit http://www.umac.mo/vacancy for more details, and apply ONLINE at Jobs@UM(https://isw.umac.mo/recruitment) (Ref. No. : FAH/PJS/09/2015). Review of applications will commence on15 April 2015 and continue until the position is filled. Applicants may consider their applications not successful if they were not invited for an interview within 3 months of application. This entry was posted in announcements, job openings, jobs and tagged full professor, Japanese, Japanese language, japanese studies, job opening, language, pedagogy, University of Macau. Bookmark the permalink.